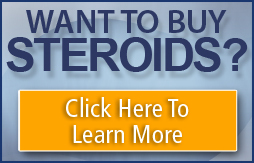 how long should i wait b4 taking steroids if im on antibitiotic right now. im planning a cycle shortly and because my insides have been through quite a bit i dont know how long i should wait between. Antibiotics will not cause adverse reactions with gear. Do a search on "anitbiotics" and read some of the past threads on this topic. only thing I want to say is that, if you can. avoid anti-biotics, i believe the weaken the body in the end, because you don't give your body the chance to fight for itself. Yes, it is okay to use AAS shortly after antibiotics. The steroids may be slightly less effective for the same dose...or another way of looking at it,you may need a slightly higher dose,to get the same effect.But not enough to change your stack drastically. The reason for this is that after the liver metabolizes and excretes steroids in the bile, bacteria will convert some of that back to the parent steroid which would be reabsorbed, thus getting double duty out of the steroid. If you take antibiotics which reduce the amount of intestinal flora greatly (and only some antibiotic regimens do this) then you decrease this effect. I hope this helps..